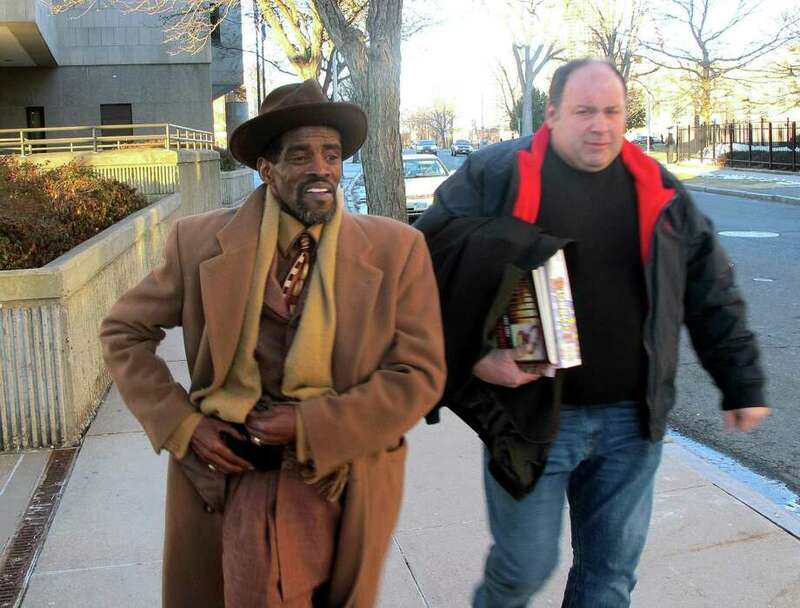 Former State Sen. Ernie Newton, left, leaves Hartford Superior Court on Friday, Jan. 16, 2015. Newton was found guilty on three charges of illegal practices in campaign financing and acquitted on a charge of tampering with a witness. The jury was unable to reach a verdict on four other charges--two more counts of illegal practices in campaign financing and two counts of first-degree larceny. With Newtown is his friend, Chris Taylor. A judge on Wednesday vacated Ernie Newton's 2015 conviction for campaign finance fraud, according to the Hartford Courant. The judge’s action to vacate the sentence was expected. On Oct. 12, the state Supreme Court, in a unanimous decision, ordered a new trial for Newton. Newton’s current legal troubles originated with his failed attempt in 2012 to return to the state Legislature. Newton’s campaign at that time was collecting the small contributions needed for him to qualify for $80,550 from Connecticut’s so-called clean elections public campaign grants program. He was accused of submitting five contribution cards of $100 a piece to meet the grant program’s threshold that were signed by five people who had not actually given that money. Newton is charged with first-degree larceny and campaign finance fraud. The state accuses Newton, 62, of having five campaign workers sign contribution forms saying they each gave $100 to his senate campaign in 2012, although they did not actually donate any money. The aim, the state claims, was to reach a $15,000 threshold necessary for the campaign to qualify for $85,550 in matching funds through the state's public financing program. On Jan. 16, 2015, a jury found Newton guilty of three of the charges and acquitted him of witness tampering. Jurors were unable to reach a verdict on the remaining charges. Newton’s attorneys appealed to the Supreme Court and argued, according to the justices’ ruling, that the trial court “improperly failed to instruct the jury that, in order to find him guilty of an illegal campaign financing practice, it must find that he (Newton) acted with the specific intent to violate” campaign financing laws by making a payment to a campaign in another person’s name. Newton is represented by public defender Joseph Stawicki. The Courant reported Stawicki met Wednesday with prosecutor Kevin Shay and Hartford Superior Court Judge Laura F. Baldini before entering Newton’s not guilty plea during the hearing. Stawicki said he is working to resolve the case short of trial.